Based on the semi-automated MultiMACS Cell24 Separator Plus technology, the MultiMACS X enables separation of up to 24 samples in parallel with additional automated features, providing a fully automated solution. It is compatible with any starting material – blood, Leukopak, dissociated tissues, or peripheral blood mononuclear cells (PBMCs). A custom-designed liquid handler enables true walk-away automation. It allows you to work on more important tasks, while the instrument labels your samples, performs washing steps, and elutes your cells. It can even take additional pipetting steps off your hands, for example, aliquoting samples for further processing or labeling for flow cytometry. Based on a handheld barcode reader, the MultiMACS X can record barcodes from samples as well as track the lot numbers and expiry dates of MACS MicroBeads and Isolation Kits. At the end of each run, the instrument provides a report detailing whether a run was completed successfully and which samples and reagents were used. The software can also be integrated into a laboratory information management system (LIMS) for full documentation. 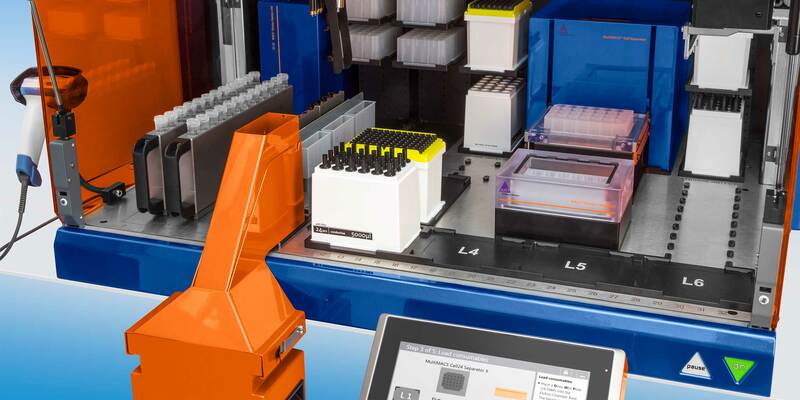 The Multi-24 Column Block enables high-throughput and high-volume applications by combining 24 columns in one unit. The Multi-24 Column Block saves time and makes handling of large sample numbers or volumes more convenient. 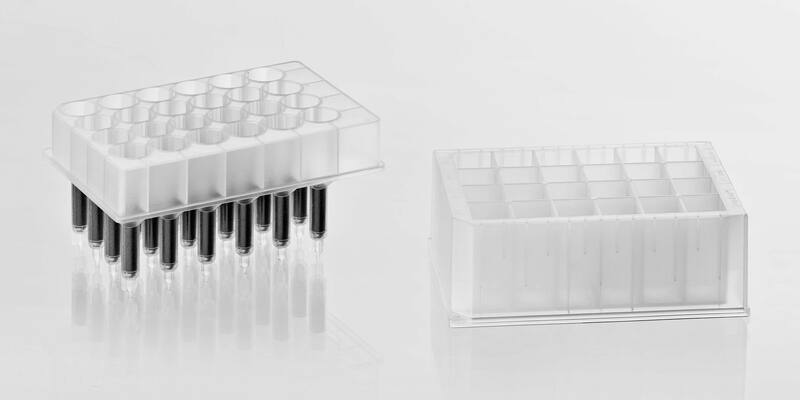 The Single-Column Adapter helps you save column costs when you want to process only a small number of samples in a run. 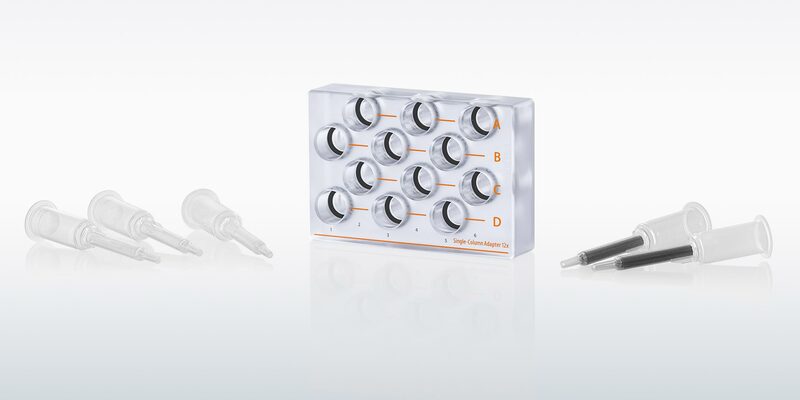 Designed for use with single MACS Columns, the Single-Column Adapter allows you to handle up to 12 samples in one go. The desired number of Whole Blood, LS, or LD Columns is inserted into the holder and the remaining slots are filled with blank columns. The processes on the MultiMACS X are developed and validated to match each customer’s needs perfectly. This allows for the implementation of customized workflows. The MultiMACS X is compatible with whole blood, Leukopak, and tissue samples, and is compatible with MACS MicroBeads and Isolation Kits for high purities and excellent recoveries. 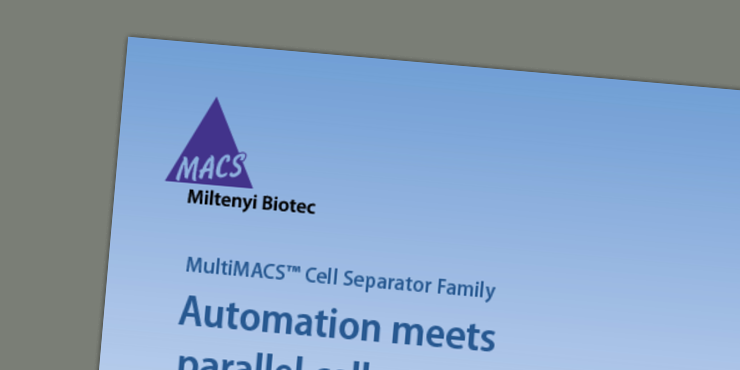 Download our brochure and learn more about the MultiMACS Cell Separator Family.